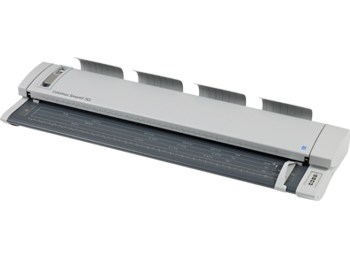 Go 'super-size' with the SmartLF Gx+ T56 extra-wide format scanner. 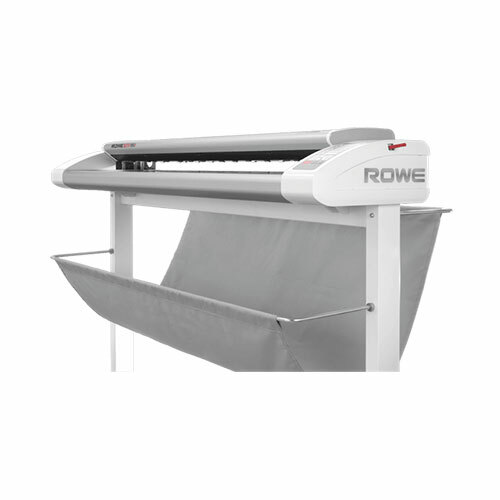 With the widest imaging width of any sheet fed wide format scanner on the market, this scanner provides the ultimate format flexibility for service providers or users who need to cope with very large, over-size documents or want to capture landscape A0/E-size drawings and plans rigth reading from the outset. 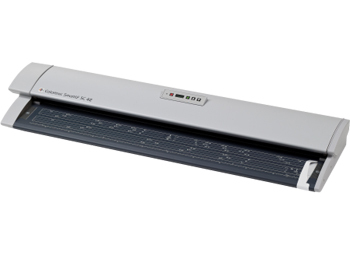 While a fluorescently lit scanner can be used within five minutes of switching on, you need to let it warm up for about an hour in order for the tubes to reach their optimum light intensity and for the tube temperature to reach equilibrium. If you do not do this, color and stitch inaccuracies may result. 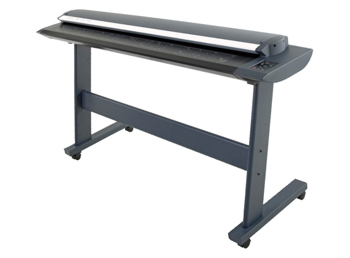 The SmartLF Gx+ T56 extra wide scanner's white LED illumination produces high quality color, just like fluorescent illumination. However, because LEDs operate with a stable light spectrum from switch on (cold) through hours of use (warm), you do not have to wait for them to warm up before you can use the scanner to best effect. Simply turn it on and scan! SmartLF Gx+ T56 extra large scanners have all the advantages of CCD technology's superior color imaging - the ability to scan a wide gamut (range of colors) and a high dynamic range (ability to see detail in dark and light areas) - combined with 600 dpi optical resolution, the highest optical resolution available in any extra wide CCD scanner. This makes them perfect for capturing vibrant, accurate colors for graphics professionals as well as sharply defined line detail on technical documents and maps. 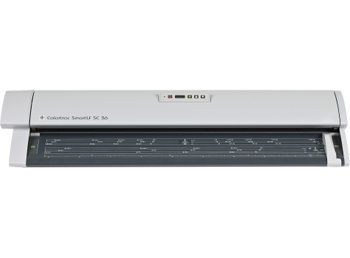 The SmartLF Gx+ T56 extra large scanner has eight CCDs across the scan width to minimize geometric distortion, more than any other similarly sized scanner. Traditional CCD scanners are prone to stitch and accuracy issues caused by sensor misalignment. These are minimized in the SmartLF Gx+ T56 by housing the eight CCDs within a rigid monocoque camera chassis. 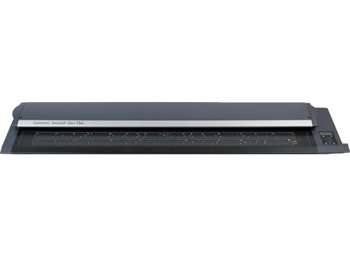 Max Scan Width 51" 51" 51"
Weight & Dimensions (WxHxD) Scanner:а58.4lbs 45" x 6" x 15"